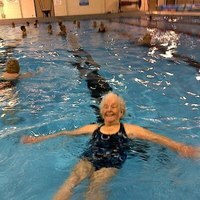 Here is a link to CBC radio about the 96 year-old swimmer, Mary MacDonald,who credits her health to swimming. ← Why Masters Swimming? An argument to join now!